Fencing and Signage is up. Concrete reinforcing is being tied together for footing installation. 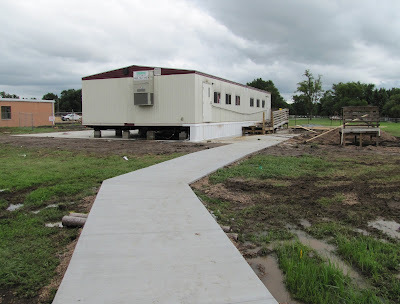 The portable has been moved to allow room for South Wing construction. 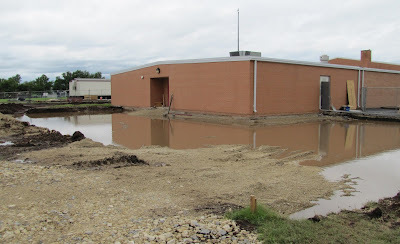 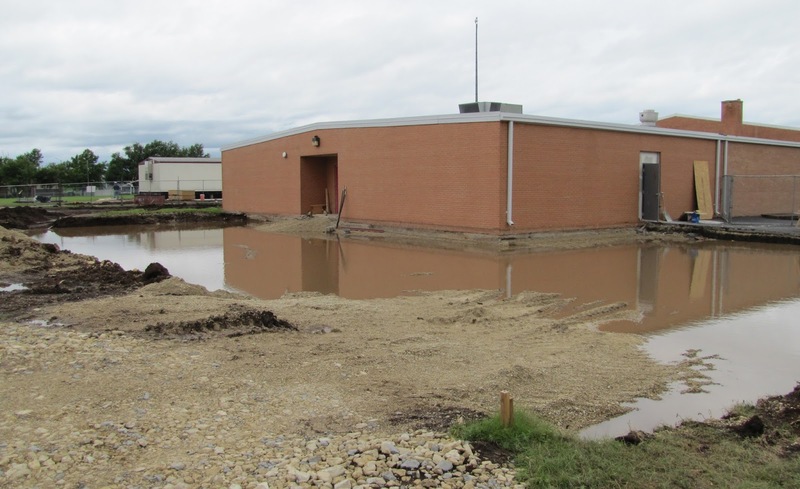 Lots of rain South of the building where six classrooms will be added. 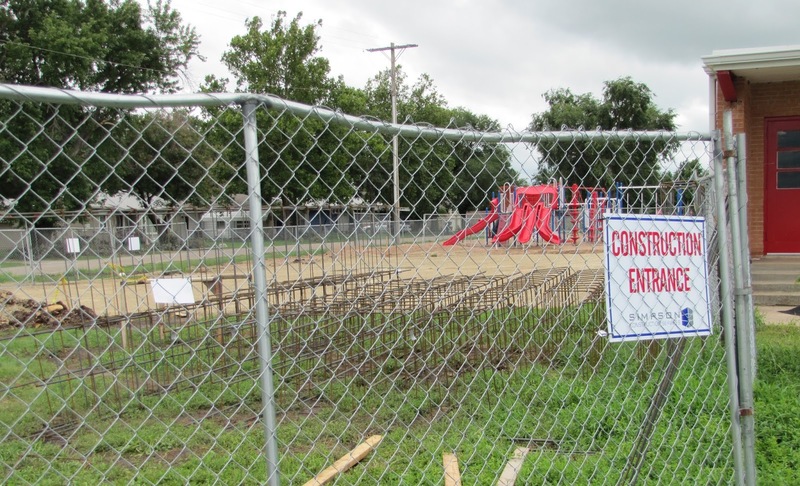 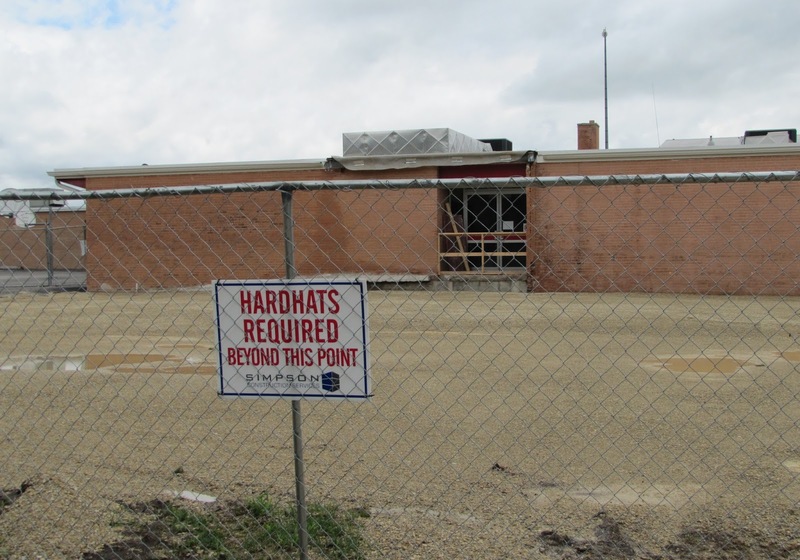 Two classrooms will be added on the East.